FunctionLoops LTD is a sound design company which was launched in 2011 and offers sample packs from most electronic dance music styles. The company is known for bringing excellent material that is used by DJs, producers, and musicians. In addition to loops and sample packs, FunctionLoops also offers Kontakt Instruments, Cubase Templates, patches, midi files, tutorials and various audio services (mixing, mastering, custom sounds, etc.). 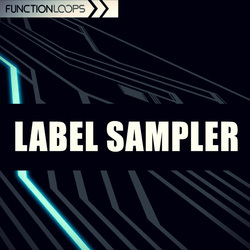 Label Sampler parts 1 and 2 are free sample packs featuring loops, one shots, samples, midis and presets found in several FunctionLoops products. Label Sampler Part 1 comes with 700 MB of psytrance, house, trance, chill and EDM loops, one-shots, midi files, presets and acapellas. All files are taken from selected FunctionLoops and Sharp sample libraries. You will find royalty-free material from four FunctionLoops packs (Analog Psytrance, House Bass Assistant, Inmagine EDM Acapellas, Trance & Psy Vocals) and three Sharp packs (Chill and Future Trap, This is Jungle Terror, Ultra EDM 2016). 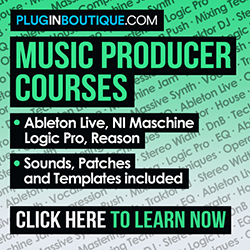 There are loops for drums, leads, pianos, synths, bass, vocals, as well as Midi files, one-shots, and Spire presets. It works as taste packs from the original products. If you decide to purchase any of the featured sample libraries, FunctionLoops offers a 20% discount. 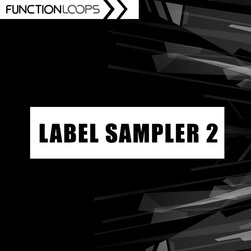 Label Sampler 2 is FunctionLoops most recent free sample pack. It is a 500MB file, full of great Deep House, EDM, Vocals, Future Bass, Future House, Psytrance, Techno and Tech House royalty-free material. All the files are also taken from previous original releases. There are loops from drums, pads, synths, leads, bass, FX, as well as midi files, one-shots, and vocal samples. There are also Sylenth and Spire presets. If you get interested in any particular sample library, FunctionLoops offers a 15% discount.